Conservation and restoration is a big job, and no one organization can do it alone. 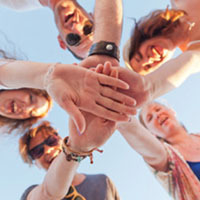 HVA builds partnerships at the local, regional and national levels. We’re committed to helping all partners succeed. 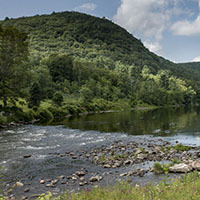 The Housatonic Valley is an important “keystone” in a vast forest corridor stretching from the Hudson River all the way to the Canadian Maritimes. Let’s prioritize the most important lands that will keep this threatened greenway intact for generations to come. 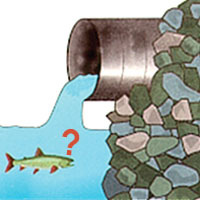 Old or poorly-designed culverts (pipes carrying streams underneath roadways) act just like dams, blocking fish and wildlife from moving upstream. And they cause flooding in strong storms. More than 25% in our region are unfit, but we can change that. 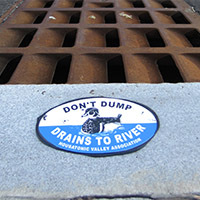 Fighting the region’s #1 risk to water quality will require a combination of public outreach, smart growth strategies at the state & local level, and hands-on improvement of stream-side buffer lands that naturally filter rainwater. Consistently tracking the chemistry and health of local waters – and how they change over time – helps us to set priorities and take action. 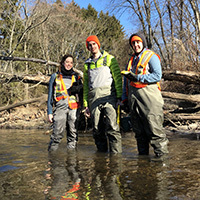 Our scientists are banding together with volunteers (like you!) to create a network of “Stream Teams” trained in monitoring and reporting on water quality in your hometown. Knowledge is power! 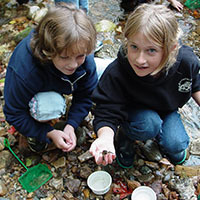 Hands-on learning creates memorable experiences for students of all ages, and HVA takes every opportunity to teach kids AND adults about river science, ecology, and everyday environmental solutions. The most heroic environmental champions are people who experience our trails and waterways firsthand. 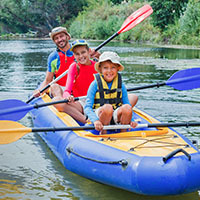 Hiking a scenic trail, climbing to a spectacular overlook, fishing a secluded pool, or paddling a stretch of river – it all creates strong and lasting bonds. Let’s expand access to these special places, to get YOU out on the trails and on the water. Local governments make lots of important choices when it comes to water quality and conservation. HVA provides municipalities with mapping, monitoring, and technical guidance that help them make the right decisions and set priorities to have the best impact on the environment at the lowest possible cost to taxpayers. In an uncertain political climate, our rivers and lands need a voice more than ever! 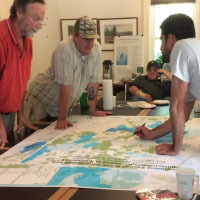 HVA works to shape sound environmental policies in Hartford, Boston, Albany and in Washington D.C., securing funding for important projects, and supporting our partners. 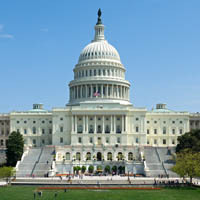 Join us in building support for important policies and laws that protect our watershed.